The State Water Resources Control Board (State Water Board) staff today released a draft proposal to update water quality requirements for salinity in the southern Delta and water flows in major tributaries to the San Joaquin River (the Stanislaus, Tuolumne, and Merced Rivers), which drain into the southern Delta. The refined salinity requirements reflect updated scientific information about salt levels that reasonably protect farming in the southern Delta. The new flow requirements for the San Joaquin River’s major tributaries recognize the vital role upstream water flows provide for habitat and migratory signals for native fish species. In summary, the draft proposes increasing flows for fish and wildlife and adjusts the salinity requirements to a slightly higher level to reflect updated scientific knowledge. The Bay-Delta Plan lays out water quality protections to ensure that various water uses – drinking, irrigation, fisheries – are protected. 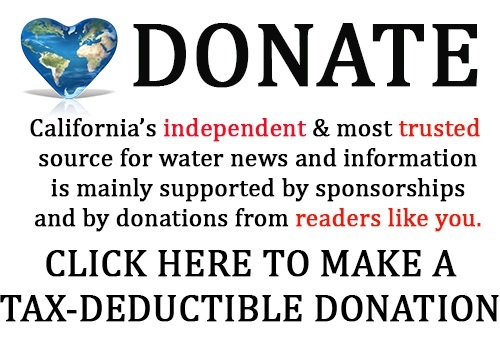 In establishing these objectives, the State Water Board must consider all beneficial uses of water in determining how to reasonably protect any particular use, and must balance those interests. Accompanying the proposed Bay-Delta Plan update is a comprehensive staff report, known as a Substitute Environmental Document (SED). The SED analyzes the impacts, benefits, and costs of the proposed revisions. The San Joaquin River is a key part of the Bay-Delta system. Flow objectives on the San Joaquin River have not been updated since 1995. Since that time salmon and steelhead, including those that spawn and rear in the San Joaquin’s tributaries and migrate through the Delta to the Pacific Ocean, have steeply declined. Scientific studies show that flow is a major factor in the survival of fish like salmon. The proposed flow objective for the Lower San Joaquin River and its tributaries is designed to reasonably protect at-risk native fish species by leaving more water in the rivers during the critical February through June time period. Currently, flows left in some of these tributaries after human diversions are frequently less than 20 percent of natural, or unimpaired, flow. Unimpaired flow is a measure of the total amount of water that would flow down a river if it was not diverted or stored in a reservoir. The State Water Board’s 2010 flow criteria report concluded that 60 percent of unimpaired flow should be left in the river for the benefit of fish species if balancing other uses were not considered. After balancing other uses of water, the staff proposal recommends a range of between 30 and 50 percent of unimpaired flow, with a starting point of 40 percent. The State Water Board’s staff analysis shows that this range will provide reasonable protection of fish and wildlife while moderating impacts to water supply for agriculture, drinking water and other uses. The proposal recognizes that although flow levels are unsustainably low at significant times on the tributaries, flow level is not the only factor affecting fish survival, and that a number of other factors degrade conditions for native fish, such as non-native species, predation, high water temperatures, barriers to fish passage, and habitat loss. The State Water Board recognizes that water agencies and others can take actions to improve habitat and take other non-flow actions to help reasonably protect native fish. The proposal is designed with the flexibility to allow cooperative actions to make flows more functionally useful and to increase habitat, meet optimal temperatures, or cue fish migration. Stakeholders are encouraged to work together to present the State Water Board with voluntary agreements that would implement Bay‐Delta Plan objectives for fish and wildlife beneficial uses. Voluntary agreements to implement non-flow actions that improve conditions for fish and wildlife may reduce flows needed within the 30 to 50 percent range. The staff proposal also includes a recommendation to revise salinity objectives in the southern Delta. High concentrations of salt in irrigation water can reduce crop yields. However, studies of the most salt-sensitive crops grown in the southern Delta show that the existing April through August salinity objective is lower than what is needed to reasonably protect agriculture. Salinity is typically measured in units of deciSiemens per meter (dS/m), a measure of electrical conductivity. The salinity objective would change from the current objective that varies between 0.7 dS/m in the April through August time period and 1.0 dS/m September through March, to a year-round objective of 1.0 dS/m. 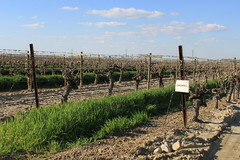 The new objective, coupled with the continuation or improvement of management actions to respond to salinity, such as the maintenance of adequate water levels and requirements on federal and state water project operations, in conjunction with increased San Joaquin River flows, would provide the same or better conditions for agricultural uses in the southern Delta as currently exist. Public involvement in shaping this decision is important to the State Water Board. 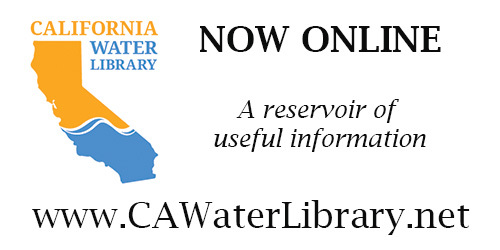 The draft Bay-Delta Plan amendments and Substitute Environmental Document were released today and can be accessed on the State Water Board’s web site as well as at various public libraries. Comments on the draft SED are due on Nov. 15 of this year. A public hearing will be held over three days beginning on Nov. 2 in Sacramento, continuing Nov. 4 in the Modesto area, and concluding Nov. 10 in Sacramento. The State Water Board will then hold an additional public meeting to consider the proposed Bay‐Delta Plan amendments in early 2017. The State Water Board is in the midst of a four-phase process of developing and implementing updates to the Bay-Delta Plan and flow objectives for priority tributaries to the Delta to protect beneficial uses in the Bay-Delta Watershed. This phase (Phase I) proposes amendments to the Bay-Delta Plan involving the Lower San Joaquin River flow objectives and southern Delta salinity objectives. 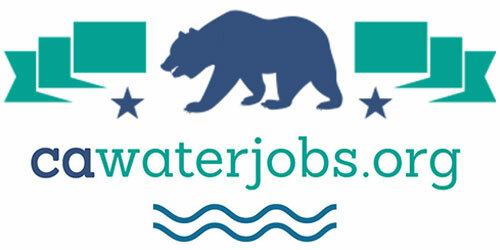 In a separate process, referred to as Phase II, the State Water Board is reviewing and considering updates to other elements of the Bay-Delta Plan, including Delta outflows, Sacramento and tributary inflows (other than the San Joaquin River inflows), Suisun Marsh salinity, Delta Cross Channel Gate closure, export limits, and reverse flows in Old and Middle River. In Phase III, the State Water Board will implement changes to the Bay-Delta Plan from Phases I and II through water right actions. Phase IV focuses on the development and implementation of flows in the Sacramento River watershed to address tributary-specific public trust needs, with consideration for other beneficial uses of water, and will be integrated with the Phase II effort. A draft scientific basis report for the Phase II proceeding will be issued in the next few weeks with proposed amendments to the plan to come next year. For more information on the draft SED and Phase 1 of the Bay-Delta Water Quality Plan update, visit here. To read a high level fact sheet, visit here. To read a high level 8-page summary of the Bay Delta Update Phase One executive summary, visit here.